Drugs that inhibit the ability of the Leishmania parasite to utilize glucose could help treat infection caused by the parasite. Leishmaniasis is a tropical disease that can cause debilitating ulcers of the skin, mouth and nose. Its most serious form, visceral leishmaniasis, causes fever, low red blood cell count, and enlargement of the liver and spleen. The parasite multiplies in the guts of sandflies, which subsequently transmit it to vertebrate hosts, where it further develops and spreads. To find a potential treatment for Leishmania infections, researchers from Universiti Putra Malaysia and the University of Glasgow in Scotland analysed molecular changes in the proteins and metabolites of mutant Leishmania parasites placed in a variety of nutrient environments. By studying these relationships in mutants, the team hoped to identify a molecular pathway to target in normal parasites that reduces their virulence. They found that mutant parasites incapable of processing glucose experienced reduced growth, sensitivity to oxidative stress, and dramatic reduction of virulence. The mutants were able to use alternative energy sources, such as amino and fatty acids. Their ability to do so is likely an adaptation to the variable environment in the sandfly gut, where glucose may be abundant or sparse depending on the sandfly's diet. However, these alternative sources were not enough to sustain the parasites. 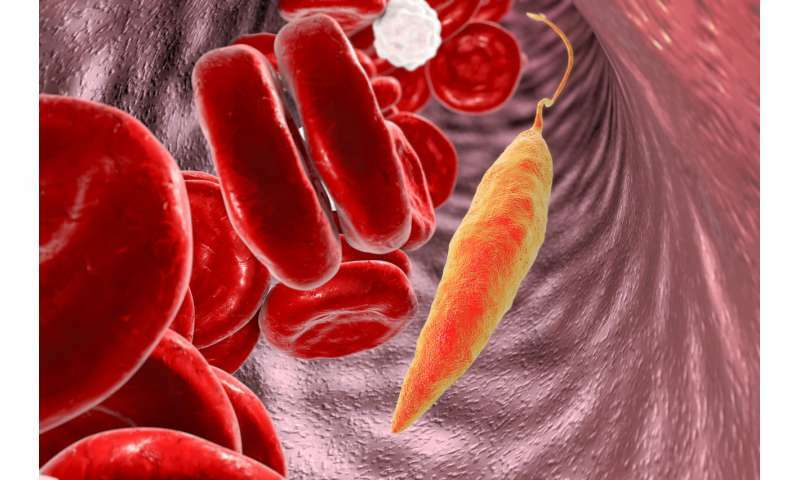 The researchers hope these findings might be used by others to develop anti-parasitic drugs that inhibit glucose utilization to treat Leishmania infections. There are about 50,000 to 90,000 new cases of visceral leishmaniasis globally every year, according to the World Health Organization. In 2015, 90% of reported leishmaniasis cases came from seven countries: Brazil, Ethiopia, India, Kenya, Somalia, South Sudan and Sudan.